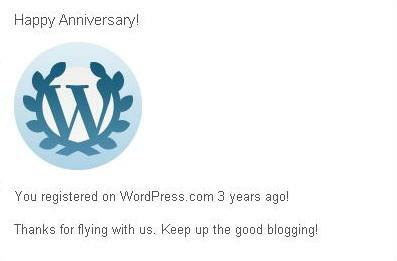 Apparently, today marks my 3rd year as a blogger. Wow. I was never counting so I was pleasantly surprised. Now whatever happened that resulted to this little project of mine called “Vent-o-Machine”? I’m taking you back to a little trip down memory lane – that’s if i could still remember – hold on to your seats and buckle up! Or maybe not, you could just sit there and scroll down. Here we go. I’ve been wanting to have a blog back in college so i started a Multiply account called “Stop & Stare”. It wasn’t a bad blog name but it’s not very original. Haha. It came from a One Republic song and I kinda stuck with it. Anywho, after posting some photos, and a few entries – some were even imported and posted here. Check out the old old posts if you wanna see. – real life happened and I kinda neglected it. After graduation, I landed a job that was not what I wanted really and I was so lost I didn’t know what to do with my life. I was in the middle of adjusting myself to the “real world” and I had a lot of things to say and a few people to talk to. Wait, that sounded sad. Haha. I mean, let’s just say that everyone was busy getting their life together that I was in need of an outlet to air out whatever it was that I was feeling. I didn’t have the energy to punch the real world in the face but I had tons of energy to vent so I decided that it was the best time to start a blog and call it VENT-O-MACHINE. Yeah, I’m witty like that. Here’s my first ever post aptly called: “Stuck in a Moment”. Come to think of it, I still kinda feel like that sometimes. The fish out of water sort of feeling. Anywho, that’s when I started to blog. For 3 years, i’ve been polluting your screens with emo posts about life, love, and everything in between. Hahaha. After 3 years, I guess, I’ve been through similar things in different places with different people. Although, I’ve read back some smack-on-the-head-worthy-posts, I hope I’ve grown both as a writer and as a person in a span of 3 years and this blog is a concrete witness of ALL the over thinking that I do. THOU SHALL NOT COPY & PASTE! After You. Not A Book Review.